Dr. Adrian Lo is a well-respected board certified plastic surgeon who has been practicing in the Philadelphia and South Jersey area since 1991 and treats patients from locally, around the country and the world. Dr. Lo is a member of the prestigious American Society of Plastic Surgeons and the American Society for Aesthetic Plastic Surgery. He has taught medical students and plastic surgery residents at Temple University as an Assistant Professor of Plastic Surgery and also at Pennsylvania Hospital. 1. Dr. Lo Listens – Dr. Lo spends up to 1 hour with you during your consultation and listens to your goals, wishes and dreams. Dr. Lo will be honest and realistic and tell you what look can be achieved with scarless breast implant surgery. 2. Personalized Care – You will be seen by Dr. Lo at all steps of your care. He calls you the night after surgery, and you will have access to him by cell phone and email. 3. Safe and Expert Care – Your breast implant procedure will be done in the safety and sterility of the outpatient center of Pennsylvania Hospital or the Pennsylvania Hospital surgery center. You will receive top notch anesthesia and nursing care from a well-respected health care system. Every member of the team that will look after you have worked with Dr. Adrian Lo for many years caring for women having breast implant surgery. 4. Great Team – Gina, will be your clinical care coordinator and will guide you through every step of the process. In addition Mildred, Tammy and Jami will be there as well to coordinate your journey. 5. 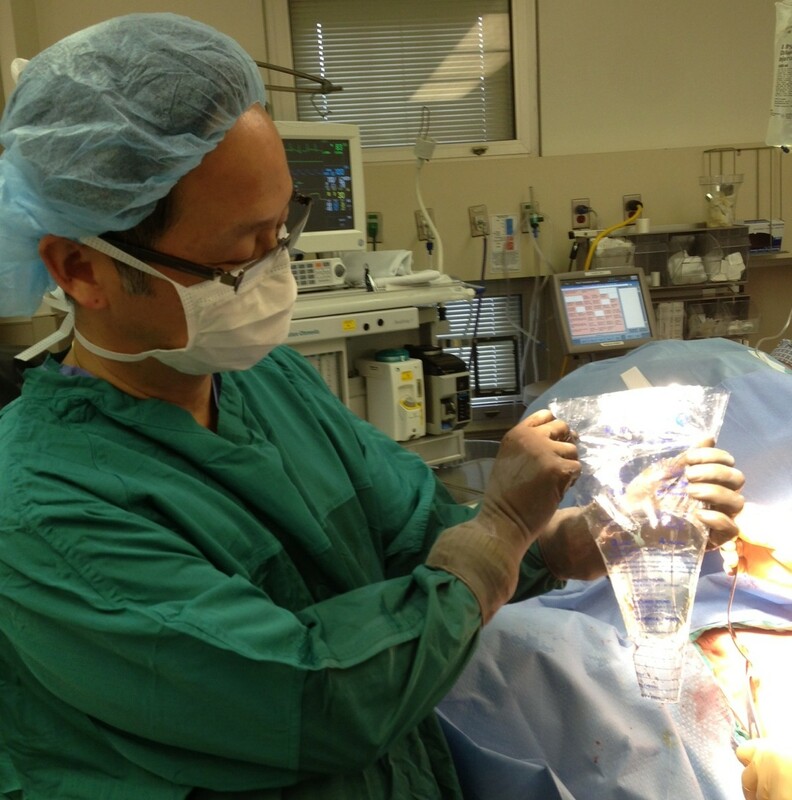 State of the Art Technology – Dr. Adrian Lo is always refining his scarless breast implant technique to give you the best result possible and the quickest, and painfree recovery. You will have accurate breast sizing with this 3D Breast Imaging machine. He is always aware of new technologies and only uses the best and most advanced implants for your surgery. 6. Hundreds of Happy Patients – Join the hundreds of women who have had breast implant surgery or breast augmentation by Dr. Adrian Lo and have experienced the Dr. Lo Advantage. Check out our Before & After gallery! Transaxillary Breast Augmentation gives you the Best Look Possible with NO scars on your breasts.With the armpit cut and Dr. Lo’s technique and experience, you can be assured that your breasts will look as good as possible and meet your expectations and goals. Whatever cup size that you desire, full B, small, average or full C, D or DD cup size or larger, your breasts will be as you want, full, perky, as much as cleavage as your desire and as natural as you desire. And the best part of it all, is that you will have no scars on your breasts and so no one will know you have breast implants.